With my girlfriend’s mom in town, we decided to take in our first true, traditional D.C. sightseeing venture of 2011. Yes, we’ve been here half a year but have yet to really take in much of the typical local tourist sites (I’ve seen many of them already from prior years visiting). 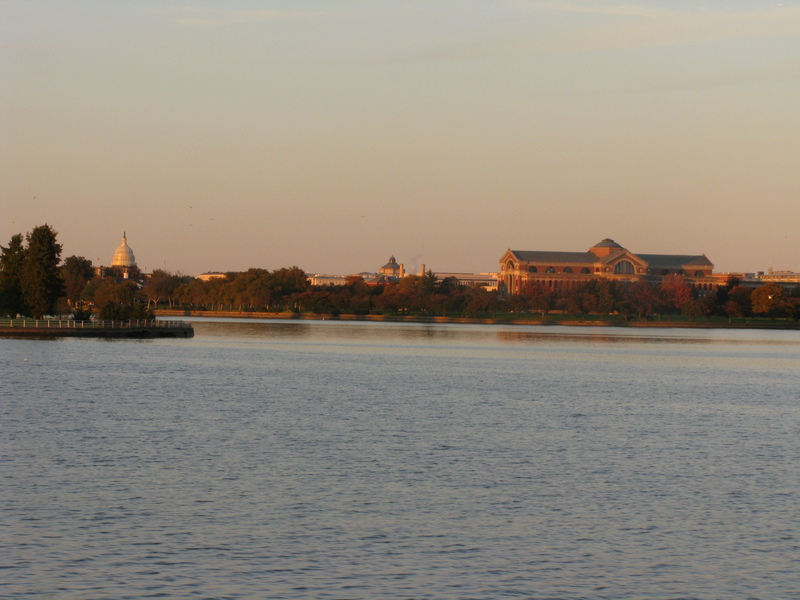 We thought the best way to see everything and make it a new experience for everyone was to take a fall cruise through the Potomac and take in the monuments surrounded by late-October colors. 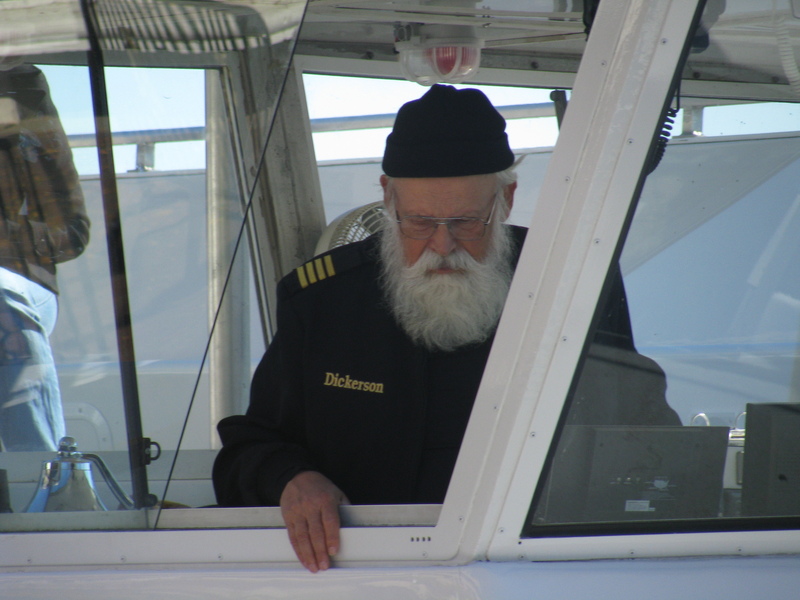 I wouldn't expect anything less at the helm of a riverboat - a true relic, Capt. Dennis Dickerson. Now, unsurprisingly, I managed to screw up the initial plan. See, Breeah had purchased three tickets on Groupon many weeks ago for a “fall foliage” cruise with DC Cruises. I was under the mistaken impression that one just shows up unannounced for such things – tickets in tow – and boards at whatever time slot they want. For a relatively newly minted DC-area resident, I’ll admit that was pretty naive of me to think. You had to reserve your seats on their website, and, of course, all seats for this weekend’s four rides were taken. 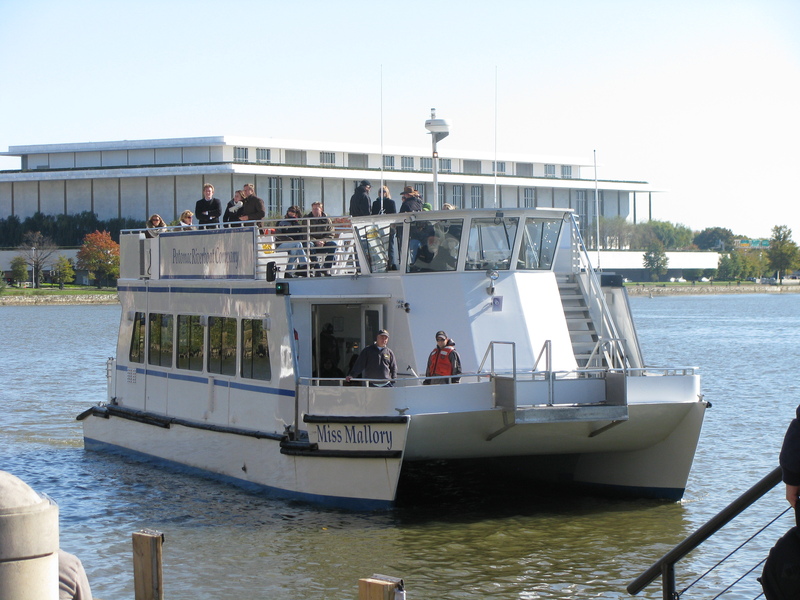 So last Friday I scrambled to procure tickets for the Potomac Riverboat Company’s “Washington by Monuments” ride from Washington Harbor (near Georgetown) to Old Town Alexandria, VA. Thankfully this worked fantastically, as Sunday was the last day of the season. With a rare, early D.C. snow on Saturday, Sunday ended up being the better of the two days to ride (though the rarity of snowfall on the Potomac at this time would have maybe made for some interesting memories – and photos – as well). After watching a few crew teams racing down the river to frantic parents and relatives cheering them on, we made our way to the small dock (as the Company’s main quarters are in Alexandria, the Georgetown outfit consists of nothing more than a little box office). 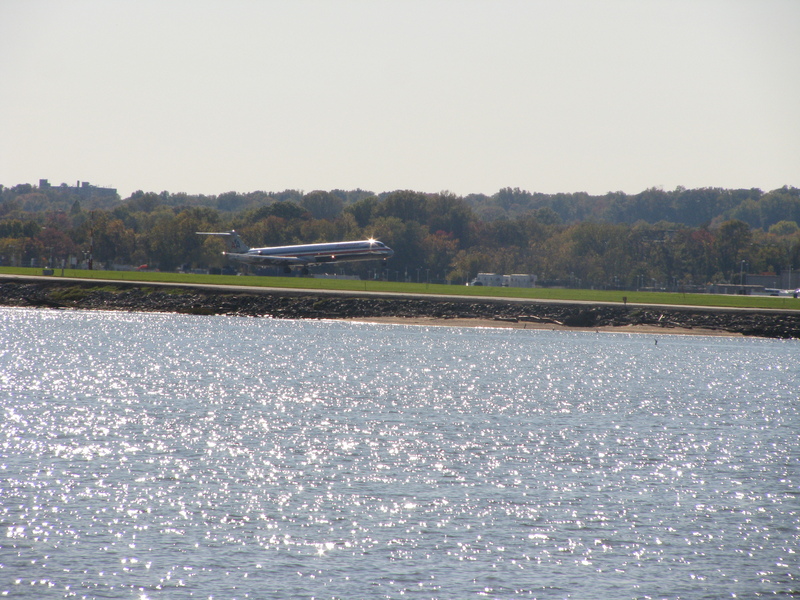 With temperatures hovering right below the 50-degree mark, the day actually seemed rather warm to being with (the sun beats down on the harbor in the early afternoon) but as you cross the Potomac, the wind picks up and the chill factor rises, so I can see why they close off the cruise season after October. The photo opportunities are exclusive and plentiful. 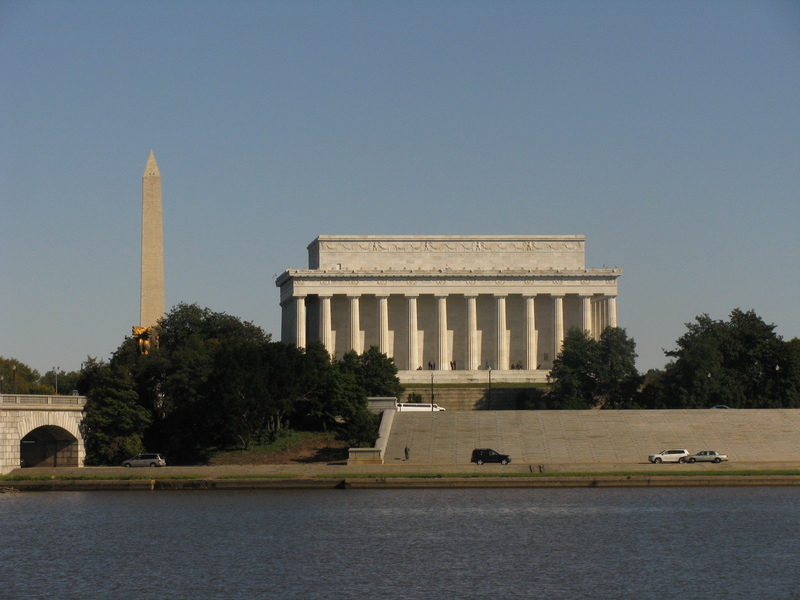 You get some less typically touristy shots of DC when your positioned in the middle of the river. The Washington Monument towers above everything and there are plenty of interesting ways to position it in your shots. Not to be overlooked (outside of the monument fare) is the fantastic view of the towers of Healy Hall – the oldest building on Georgetown University’s campus. 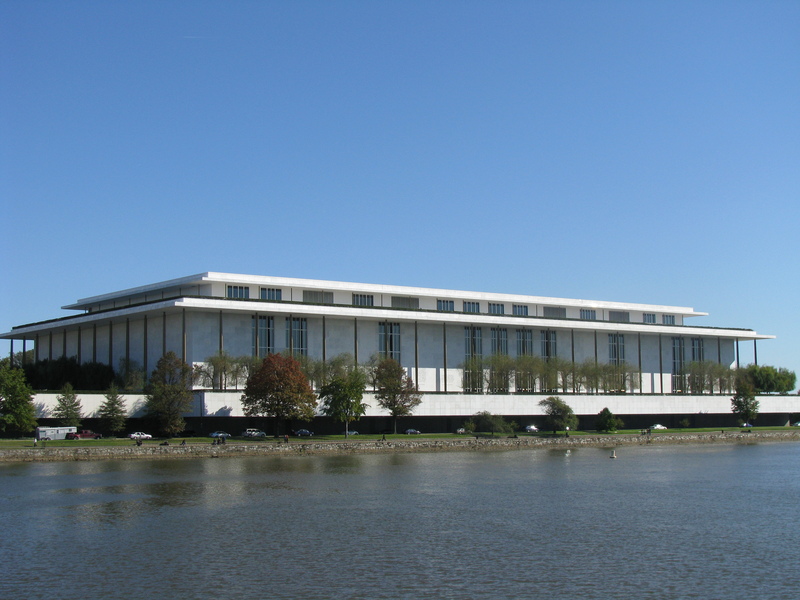 You also get a great look at the Kennedy Center, the Watergate and a rare glimpse of a shore-side view of the Reagan National Airport, a perfect spot to catch landings and takeoffs. 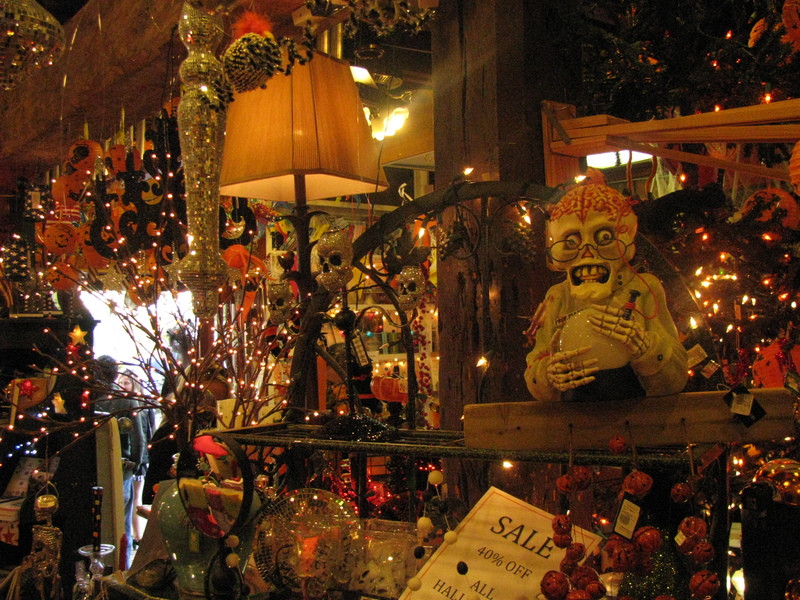 We had a little time to hit up the Christmas Attic, bespeckled with various Halloween ornaments to go with the hefty helping of their year-round yuletide stock. I’ve been to Christmas stores before, but this takes it to another level (two levels actually, connected by two rickety wooden staircases on each end). The place is usually packed and you feel like a bull in a china shop winding through. If you don’t accidentally bump into a glittery santa or candycane lightbulb while your here, I implore you to try your hand at Teenage Mutant Ninja Turtles for the ol’ Nintendo (especially, the water level). The ride back was chock full of Norwegian suits (offentlig ansatt) that we’re in town for a summit. The top deck took on a bitter chill as day turned to dusk. I felt I’d be doing a disservice to my Montana upbringings if I didn’t outlast most of the Norsemen and women before heading down to the warm retreat of bowels of the Miss Mallory. 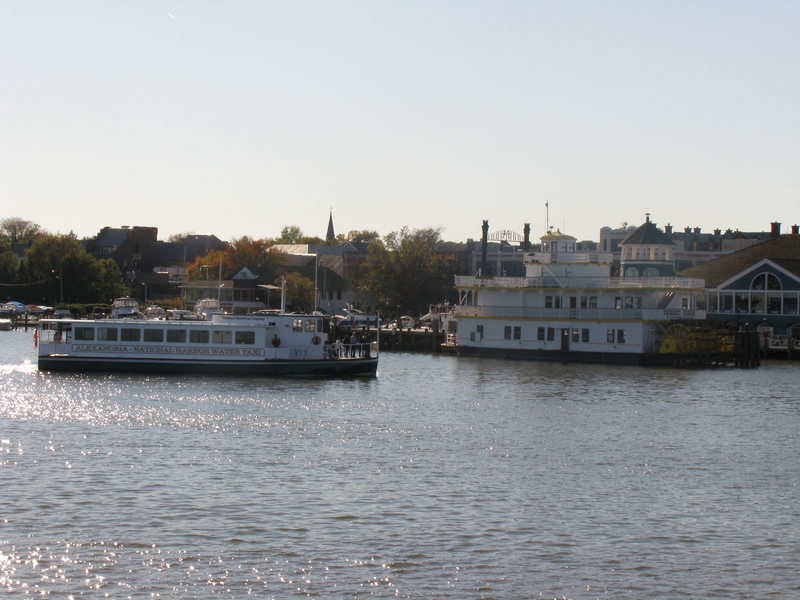 The warhorse of the Potomac Riverboat Company dropped us back off at the harbor and picked up one more load of passengers for its final voyage of the season. 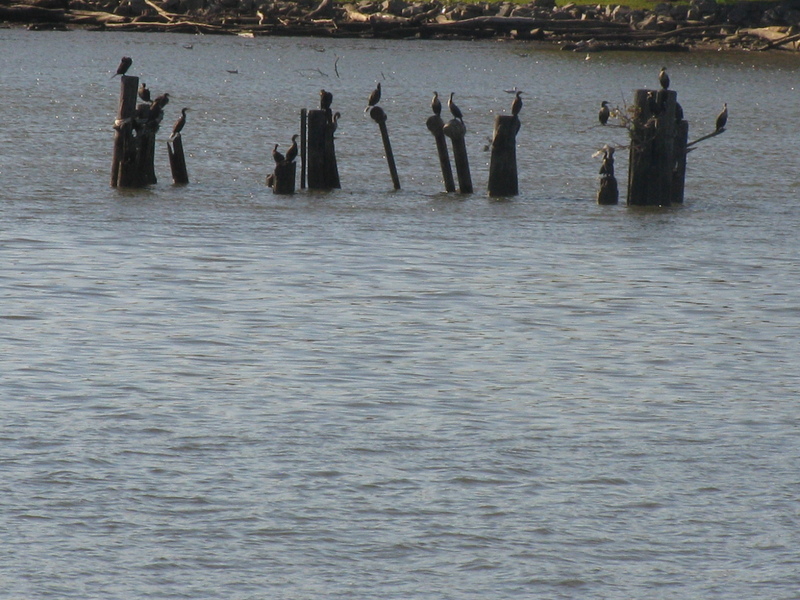 I took one of these Potomac cruises for the first time last Fall. It was a fun time — what took me so long? Yep, 20+ years of visiting before moving here and thought I’d seen DC every which way… This place can still surprise you. Everyone knows Montana is tougher than Norway.